For many people storage is an important consideration. 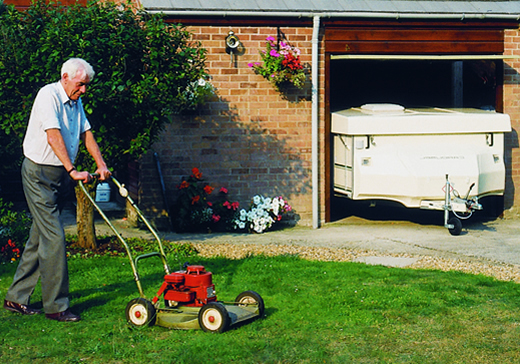 A folding caravan offers many possibilities as to how and where to store your caravan. With two different overall width dimensions storing in a garage is often the preferred choice. 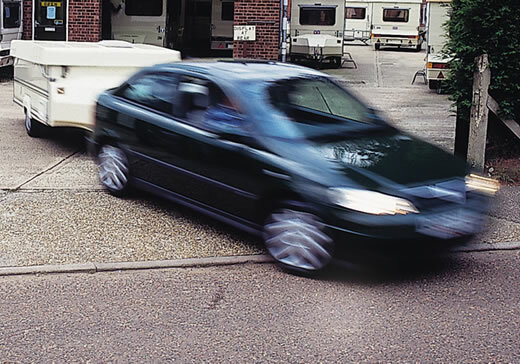 Not only does this keep your Carousel safe and sound, it also reduces the risk of prying eyes noticing that a caravan has been moved away with its owners having gone off on a trip. A Carousel in its folded position can also fit under a carport, behind a hedge or be far less obtrusive if kept in front of a window. Because the Carousel in its towing position is just below the roof level of the average vehicle the amount of wind resistance, compared with that of a conventional touring caravan, is almost non-existent. This one factor alone makes the Carousel a joy to tow, with a low drag factor and low height to reduce any ‘bow-wave’ effect from overtaking vehicles. 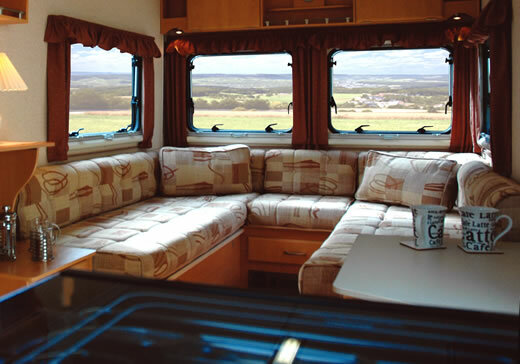 With the added benefit of low fuel consumption – it almost makes you wonder why caravanners would choose anything else! Because of the almost non-existent drag and the lightweight construction of a Carousel you will be astonished at how much fuel you can save compared to towing a regular caravan. 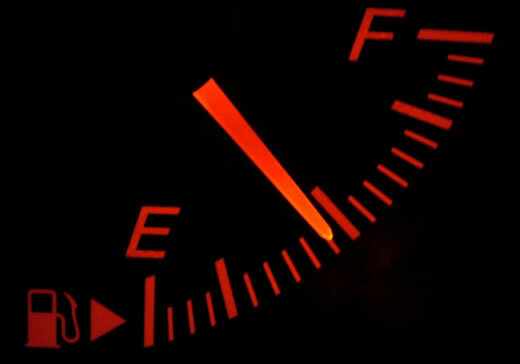 And with your towing vehicle’s engine under less stress, not only is your fuel economy much better, but you’ll be less likely to suffer mechanical issues getting to your destination! Modern furniture design provides the style and durability you would expect of home furniture with laminated tables and worktops for a complementary and long-lasting effect. Wall to wall carpets combined with deep-buttoned upholstery make for unrivalled comfort throughout.